Are you ready for some EmoTherapy? Emo is one of the more interesting articles I picked up at the Edinburgh Fringe this year. Paris for some rest and relaxation. "What and not do a show?" I exclamated! After a plea bargain and arranging his accomodation he agreed to get back in the saddle for a night of unbridled madness the like of which we have not seen since 2002. 8 years already and he hasn't aged an inch. 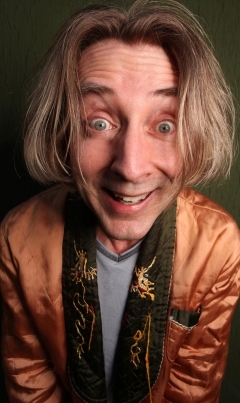 Many comedians deserve a newspaper's praise but only one comes on stage with a Joan of Arc bob, big buggy eyes and a voice that is quavering and quizzical – and as camp as the fields at Glastonbury. 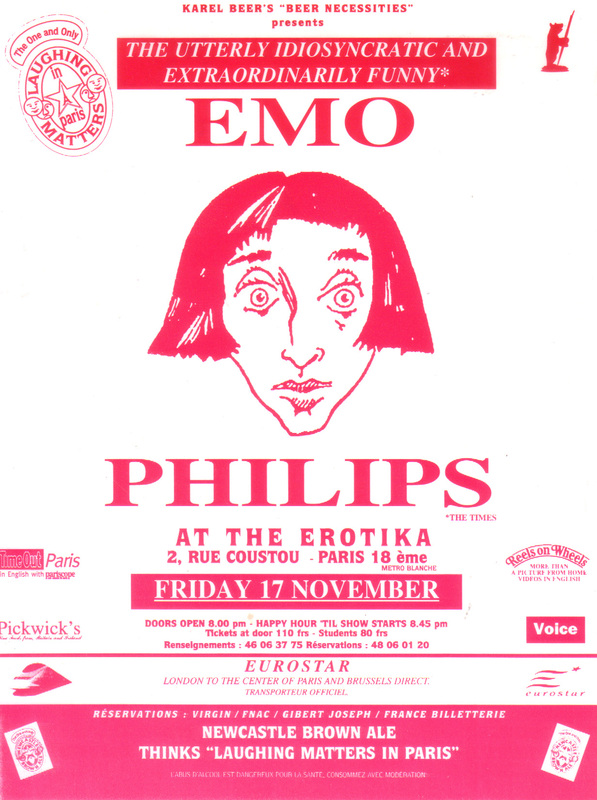 Emo Philips is a pith artist, really. He tells semi-surreal jokes so short and sharp that they make the audience jolt as well as laugh. Those who see the Chicagoan play the Edinburgh fringe this month will get plenty of proof of this, but many of his gags are known by people who have never heckled a stand-up in their lives. This is bound to have turned up in more than a few inboxes: "I ran three miles today, and finally I said, 'Lady take your purse.'" 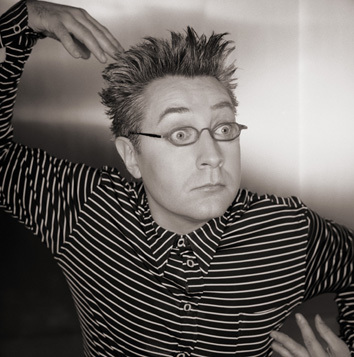 After winning his first major success in the 80s, Philips was often dubbed an alternative comedian, but his jokes are much cleverer, cleaner and funnier than that term suggests. He is the elder statesman of the one-liner : "I think my ex-wife had weekly lessons with the devil on how to be more evil. I don't know how much she charged him." Indeed, his comedic style could easily feature on Radio 4 (you might say it already does, so many British comics have ripped him off). His jokes are often informed by a sense of cosmic injustice that means all people are cursed with rotten luck. Rather than get angry about it, the Philips way is to coin cheery one-liners. "I saw an old woman changing a flat tyre, and I walked right by, like everybody else," goes one classic. "Then I thought what kind of person am I? So I went back and said, 'Have a nice day.'" There's an endless line of Ed's and Eddie's, bags of Bill's and Byrne's, masses of Mick's and Mike's even reams of Rick's & Rich's but there is only one Emo and he's back with a whimpering bang and a new image for a new millennium. He may have a new haircut, wardrobe and jokes, but otherwise little has changed. The familiar disturbed, strangulated delivery is still there, the same unhinged persona, the same pattern of disjointed gags. And the gags are what it's all about. Philips has been described by Jay Leno as the best joke-writer in America, and it would be hard to argue otherwise. His one-liners are perfection. The sheer beauty of their construction a joy to behold. Punchlines of dazzling brilliance that arise from nowhere, only to twist into something even funnier and unexpected. The craftsmanship is stunning. In these gems of one-liners, he sets demanding standards for any comic to achieve, and that even includes himself. 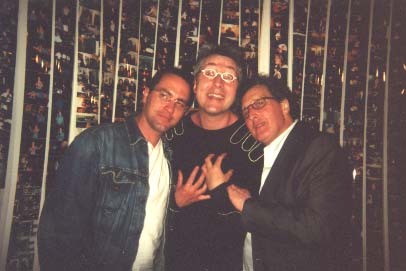 When Emo took a break from taking a break from stand-up back in 1996 to appear in Paris at the Erotica it was one of Laughing Matter's major coups and we couldn't believe our good fortune. After several years in the Hollywood wilderness working on movies and material no-doubt he unexpectedly turned up at last year's Edinburgh festival. It took me several day's to find him even when we were in the same room together. The comedy Kafka had undergone a metamorphosis and it was only when I heard his drawling voice that I got to grips with the mature Emo. 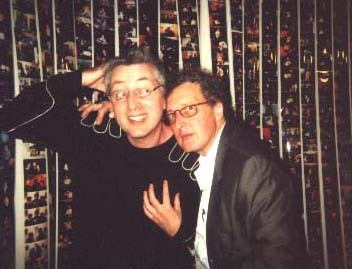 When he heard that I was still promoting comedy in Paris he almost went spare. Married to a francophile he had often been in town but never knew that his visit could so easily have been a mix of business and pleasure. All things in good time. We've managed to nail three nights onto the end of his current Edinburgh season. 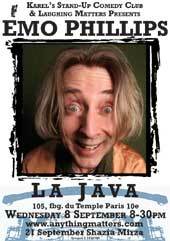 Don't miss seeing one of the true and few legends of stand-up comedy before he strides off to Joe Allen's to drink champagne until dawn.